Precor has signed a pilot agreement with Sony to deliver its smart gym solution, Advagym. 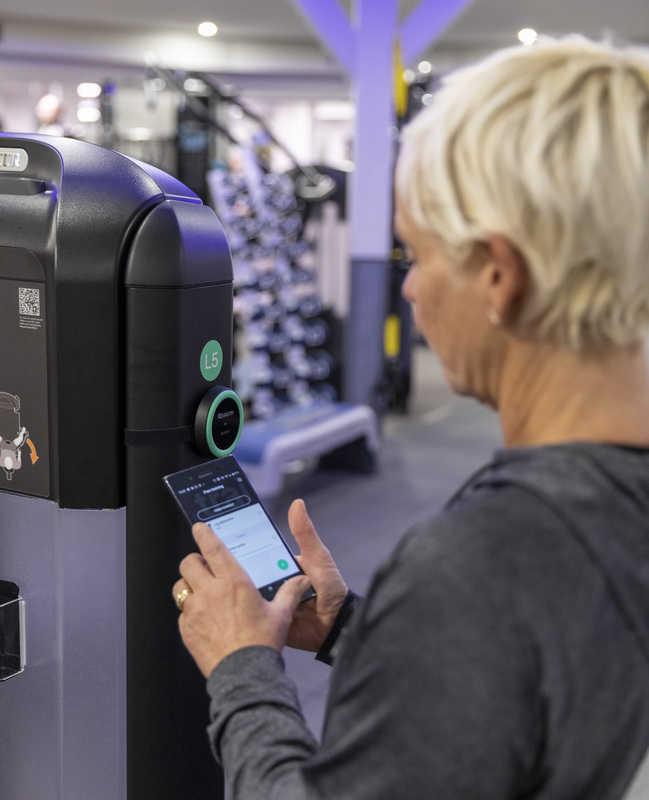 The agreement means operators of Precor kitted gyms can now offer a complete tracking journey for members’ workout regimes. Sony’s Advagym uses a sensor on strength machines to record reps and sets. Members simply touch their phone to the sensor ‘puck’ to start tracking their workout in real time, with stats automatically uploaded to the Advagym app. Pucks in free weight areas enable users to select from a list of exercises or create their own, whilst pucks on Precor’s Queenax functional training units link to videos and step-by-step instructions of suggested workouts. In the Advagym app, members can log favourite workouts and preferred machine settings, add free weight workouts, set up their own training plan and view their complete workout history. Advagym enables PTs and gym staff to increase interaction with members and boost motivation by creating bespoke training programs and feeding back on progress. Operators can use the smart gym solution to monitor use of equipment and gain valuable insights into user preferences. The technology can be fitted to new equipment or retro fitted to existing kit, and will work hand in hand with Precor’s networked fitness system, Preva, which captures workouts on Precor’s cardiovascular machines and enables members to set and track goals and earn motivational rewards. Preva stats will automatically be downloaded to the Advagym app, giving users a single source for all their workout data. Beechdown Health and Fitness Club in Basingstoke, England, is the first in the world to experience the technology together with Precor equipment. Club Manager, Ed Lindley-Hare explains: “This technology is so exciting and our members are thrilled to be the first in the world to give it a test drive. Being intrigued, within two hours of its installation some were already using it; no training was necessary. “There’s a prestige that comes with being the first to test Advagym, and both Sony and Precor are taking on board our ideas, such as our suggestion of weekly workout summary emails for members, outlining the sessions they’ve completed. Precor has a history of working with ‘best in class’ partners to offer software solutions across all areas of the member journey, specifically based on operator needs, which enable complete choice and control so that elements can be added or removed when requirements change. Precor, headquartered in Greater Seattle, WA, designs and manufactures premium end-to-end commercial fitness solutions. Precor delivers the personalised products, service experiences and resources operators need to grow their businesses, and the tools exercisers need to reach their fitness and lifestyle goals. Since 1980, Precor has been a pioneer in creating innovative fitness solutions for customers, including the EFX® Elliptical, Adaptive Motion Trainer® AMT® and Preva® Networked Fitness. In 2015 Precor added Queenax™ functional training to its product portfolio and announced its partnership with Spinning®, the world leader in indoor cycling. Six new Spinner® bikes were launched in 2016. Precor is part of Amer Sports Corporation, one of the world’s largest sports equipment companies, with internationally recognised sister brands that include Wilson, Atomic, Suunto, Salomon, Arc’teryx and Mavic.